DON'T THROW THAT OLD PHONE AWAY! Let us REPAIR/REFURBISH it for a fraction of the cost!! DSSs -and- POWER SUPPLIES as well. Craig Communications repair and refurbish department provides a professional diagnostic, repair, and testing of your business telephone equipment. If you have any out of service phones, circuit cards, modules or power supplies that need replaced, repaired or reconditioned, please give us a call! 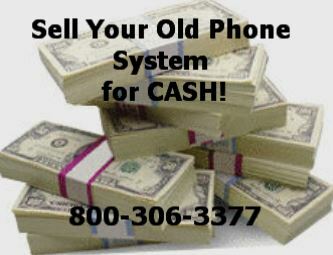 800-306-3377 E-MAIL our repair dept. PLEASE DO NOT SEND ANY EQUIPMENT FOR REPAIR WITHOUT CALLING OR EMAILING US FIRST. 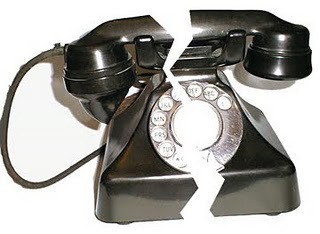 Business Telephone Repair- We do Most Major Brands! NO NEED TO SEND PAYMENT WITH YOUR REPAIR ORDER. YOU WILL BE ASKED FOR YOUR CREDIT CARD INFORMATION WHEN WE HAVE FINISHED REPAIRING THE ITEMS YOU HAVE SENT US. At our repair facility, we pride ourselves on making sure that each phone that we receive goes through a rigorous checklist of problem areas for used phones. We thoroughly test and inspect each problem whether it needs it or not to ensure that you receive the highest quality phone from us. CLICK HERE FOR OUR EQUIPMENT REPAIR FORM. Please fill out this Repair form with the following information on it. Description of problem for each item. return authorization number for shipment. Please expect a 7-10 day turnaround time on most equipment repaired. You can Click here to E-MAIL our BUSINESS TELEPHONE REPAIR dept. as well. Again, PLEASE BE SPECIFIC about each problem you are having with your phone or phone equipment . PLEASE EMAIL OR CALL (800-306-3377 x 1) WITH YOUR LIST OF EQUIPMENT TO BE REPAIRED. We always prefer a call or e-mail with your repair order or fill out This Form. ». If you still have questions, please call us at 800-306-3377 extension 1 and ask for Ric.